The Carinya Classic Sliding Door is a unique combination of form and function not previously available in the residential category. 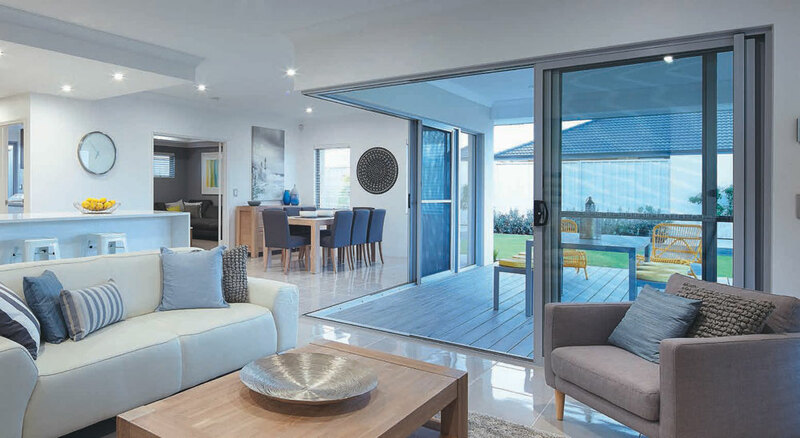 Besides a modern designer look, the Carinya Classic Sliding Door is packed with a multitude of performance features, many of which are simply not available in competing products. Rather than unsightly exposed tracks found in most residential doors, Carinya has a complete range of threshold and jamb infills as well as end caps to conceal all cavities. This not only provides a superior quality, commercial grade finish but also minimises places for insects, dirt and grit to gather. Suitable for all glazing sizes from 4mm through to 10.5mm. Suitable for double glazing up to 18mm insulated glass units. Commercial grade 5 pin locking system in a range of colours. Unique roller system rated up to 160kgs per door panel. Tracks covered for that complete, up-market designer look. Infills, end caps and weather flaps guard against air, water, grit and insect penetration. The only residential sliding door designed by a market leader in commercial doors and windows. Functional and stylish Yarra Curve door lock (shown above). 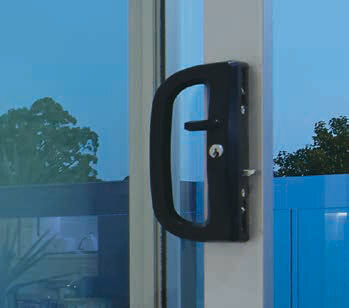 Yarra Edge door lock with optional stylish colours available. 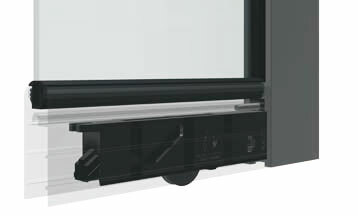 To maximise the performance of your sliding door we have utilised a proprietary ALSPEC roller system. It’s the same system used throughout the commercial range and is available in two options – General use: for the majority of loads up to 80kg per panel; and Heavy duty commercial: designed for extra large sashes and major double glazing loads up to 160kg per panel. ALSPEC’s high performance, commercial door roller used in the Carinya residential sliding door for smooth operation. Both roller options have been designed to integrate with the stiles to create a strong and robust panel, minimising movement in joints and opportunities for air infiltration.